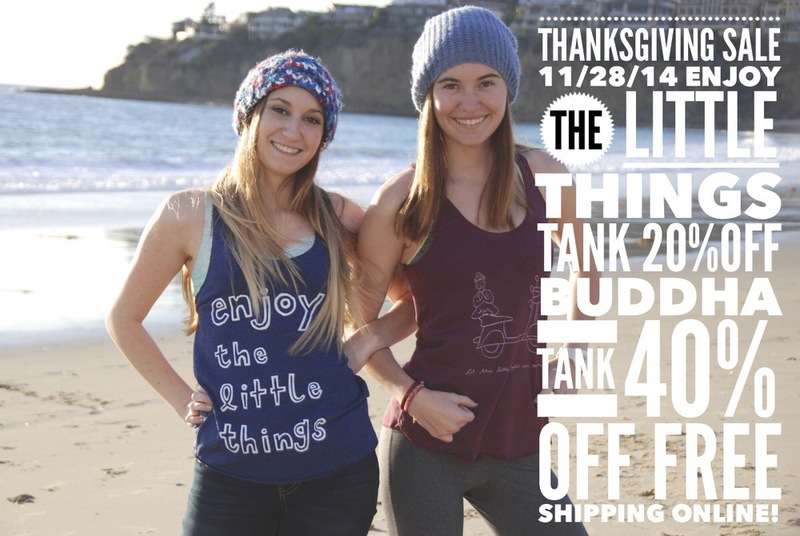 On Friday, November 28, you can purchase our Enjoy the Little Things tank 20% off, and our Buddha tank 40% off online only! We will also be offering FREE shipping!!! From our family to yours, Happy Holidays.